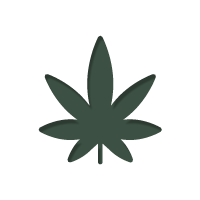 >Blog>Does Legal Cannabis Mean More Or Fewer Sick Days? Does Legal Cannabis Mean More Or Fewer Sick Days? The fallacies that workers will take sick days because they are "too stoned" or "just not feeling like turning up" have been flipped on their heads according to data from the Current Population Survey. The image of the unkempt and wasted stoner failing dismally to get or keep a job is a cliche that has been imprinted onto the global psyche for decades. Now, it would be easy to go off on a tangent straight away decrying the perception manipulation and unfair demonization by a wicked few of the marvellous cannabis plant. But there is no need. Open research thanks to legalization and unhindered communication compliments of global interconnectedness are proving these myths and many others to be nothing but lies and damned lies. Curious about how marijuana laws affected workplace sick day use recent Ph.D in economics from the University of Wisconsin, Darin F Ullman, turned to data from the Bureau of Labour Statistics Current Population Survey (CPS). It seems that the perception of the inefficient, accident and injury prone absentee cannabis user who only negatively impacts the bottom line is erroneous and far from fact. In the 24 states of the US where medical marijuana is legal or where laws are at least relaxed "8% of respondents were less likely to report being absent from work due to health issues." The fallacies that workers will take sick days because they are "too stoned" or "just not feeling like turning up" have been flipped on their heads. Informed medical marijuana use is treating conditions that would normally keep people at home. Ironically in states where medical cannabis is illegal people who are completely able to work are having to stay home to enjoy the therapeutic benefits of a chosen medicine. Data could be skewed by a freer self reporting by the participants who may not have admitted to use prior to legalization. However, other unrelated drivers occur simultaneously when cannabis is legalized. There are drops in the teen use of marijuana and lower figures for absenteeism due to complications from alcohol abuse. The legendary Cheech and Chong were and still hilarious. Stoners enjoy the self deprecating irony. Funny for sure but it is this unsympathetic image that the mainstream has of the marijuana enthusiast. The truth of the matter is, Dave isn't there because he's at work, stoned, healthy, focused, efficient and proficient.